The personal computer, Internet and mobile devices have had a dramatic impact on our lives and spurred significant new innovations since their introductions. Satellite imagery is on the cusp of making a similar impact, helping companies and people better understand the planet. The question is whether the satellite imagery industry itself is ready for this to occur. To effectively reach commercial customers, including enterprises, scientists and NGOs, satellite imagery providers must make their offerings affordable. Price is often a function of cost and desired profit margins: Satellite imagery providers will need to cover their costs and make money. Given this, the industry’s biggest challenge in terms of cost reduction is that satellites and their related equipment are still too expensive and have not reached economies of scale. 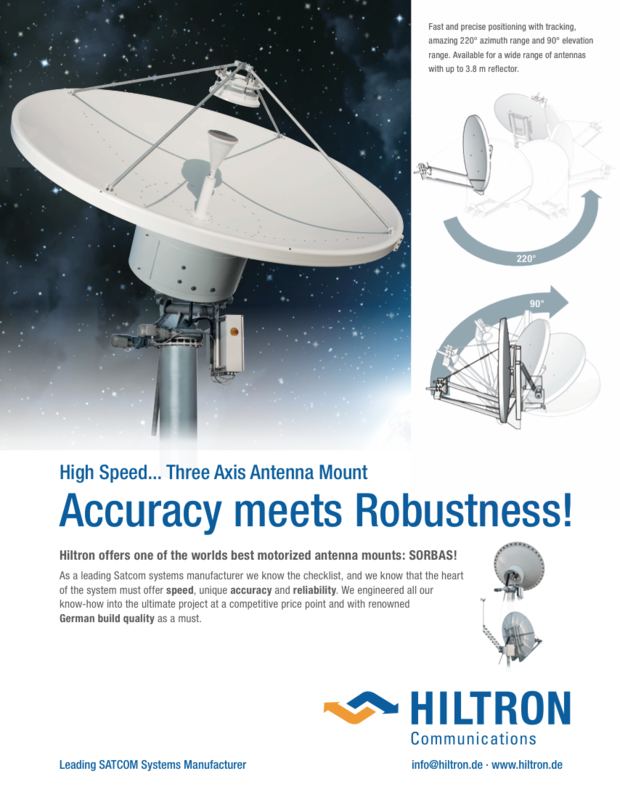 To provide satellite imagery at an affordable price, the industry must have commercial scale production for the continued development of telescopes, components and product delivery. For example, look at the PC market — today there are many providers of PC components, increasing competition and making those components inexpensive for manufacturers. The space industry can learn from this. While progress is being made, imagery providers need more affordable equipment and component options to make certain the business model is viable in order to attract large-scale commercial customers. There is an opportunity for satellite imagery providers and other players in the space industry to improve upon iterative and incremental development. Satellite imagery providers can learn from companies, such as Apple with their development and progressive iteration of the iPhone. With each new phone it introduced, Apple incorporated improvements, which then forced the other players to also innovate their product lines. 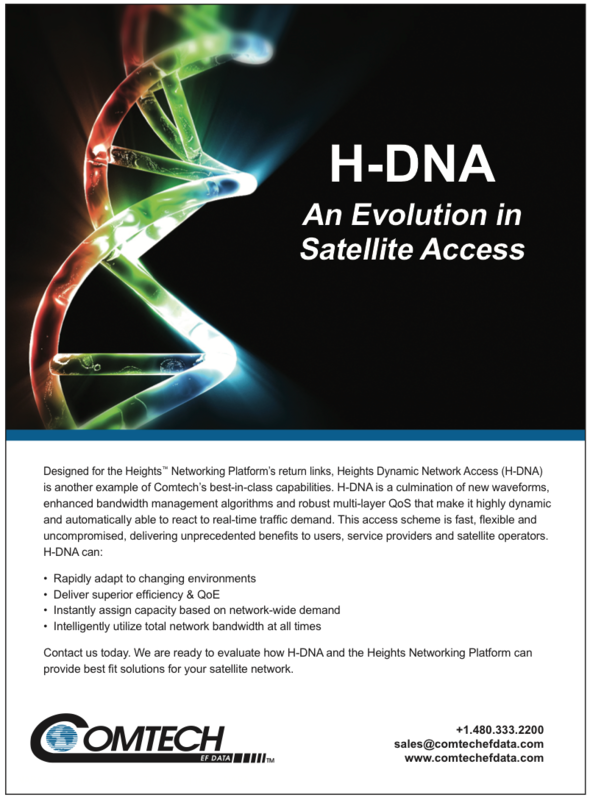 Commercial scale and iteration haven’t yet happened in the satellite industry, but such is getting closer. Take Black Sky’s Pathfinder program as one example. Pathfinder was the first generation spacecraft with its own level of componentry, payload, flight computers, power and propulsion. The second iteration, which launches this year, will be much improved in terms of the spacecraft’s telescope, computers and storage and will reflect a complete generational upgrade. Next year, a third generation will ship, with additional enhancements in processing speed, camera and software functionality as well as telecom connectivity. Similar to the iPhone and mobile phone industry, as this industry moves toward iteration and scale, competitors will also be forced to upgrade components and products to keep pace, improving innovation for all. 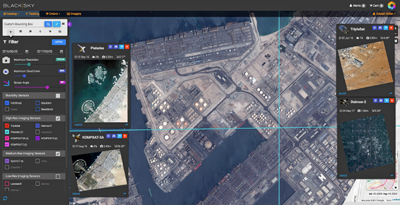 The second step toward the commercialization of satellite imagery is to make it easy for businesses, NGOs and scientists to purchase, access, and use this imagery. Businesses expect tools to be easy to use. Consider the consumerization of enterprise software and the proliferation of easy-to-use, cloud-based tools in the business world today. BlackSky demonstration image, courtesy of the company. To make it easier for commercial customers to buy satellite imagery, the industry needs to get rid of antiquated processes. Today, many customers still fax or make phone calls to order images or select imagery from an archive. The retail experience for satellite imagery is subpar; searching and perusing inventory is clunky, purchasing is slow and order fulfillment is lacking. Commercial customers will demand an improved experience. Imagery customers will expect a shopping experience much like Amazon.com, where a customer clicks to an online portal, logs in, discovers what’s available, tasks a satellite in real-time, pays for them online, and has them delivered. As we continue to demonstrate iterations of the Black Sky platform, using other organization’s satellites and soon our own constellation to capture images, the company’s customers are increasingly impressed as the technology provides a better way to obtain the data they require. Historically, that acquisition of data has been a far more arduous process. Indeed, the “one-click” retail model that consumers take for granted is simply not yet available in this industry. Meeting the needs of commercial customers will require enormous adjustments in business models for the satellite imagery industry, including the processes of discovery, purchasing, delivery and imagery, but it must happen. No longer can satellite imagery be thought of simply as “taking pictures.” Satellite imagery unlocks information, adding deeper layers of insight and data that illuminate other, potentially bigger issues that require the world’s — or a business’ — attention. Imagine a satellite image of a glacier suspected of melting. What if the same basic image of that glacier could be captured over time with attendant data analysis software deriving the actual measurements of that glacier’s melting rate? This would remove any speculation and avoid a guessing game. After all, who can afford to make a trip to a glacier every month, or every year even, to gather data? With satellite imagery, data analysis and machine learning, it is now possible to scientifically report exact measurements and rates and other data, rather than subjectively postulating as a human with an opinion. The same detection analysis can be applied to port traffic, storm damage, urban development, pipeline security, or a panoply of other uses not yet imagined. 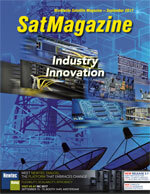 The satellite imagery industry is starting to leverage the large amounts of data being produced. However, to glean new insight, satellite imagery service providers will need to partner with software developers and experts in artificial intelligence to harness this data and improve its analysis. Competition is critical and is a sign of industry health and vitality and ultimately benefits the end customer. Competition will drive service providers to innovate and technological development is thereby forced into the open, upping the value factor for businesses, scientists and NGOs. With competition, the broader industry ecosystem becomes stronger. The result will be a more robust industry, fueled by innovation, with the flexibility to offer lower pricing and better value for commercial customers. This increasingly competitive landscape means reaching space can no longer be controlled by only a few businesses or nations. Access to space must be far more broad based. Venture capitalists must often choose between promising options: Invest in a small software company that can grow to a billion dollars in three years, or invest in a space company that will need to build 20 satellites for huge capital with no ROI for seven years. Those VC firms wanting to fundamentally innovate and seriously change the landscape are playing the long game today, because they see enormous opportunity in the future. Further, the satellite imagery industry needs to advocate for smart policies and standards. Policies — as important as they can be for the industry — have the potential to impede the average venturesome company. Fostering competition will require a strong governmental influence to help spur more innovation. Government policy needs to enable timely approvals and licensing that is realistic for serving commercial interests. There also needs to be forum or a framework for enterprises to bring grievances when there is disagreement among commercial vendors. The resulting network effect of increased competition and investment will help to spawn new and innovative ways to employ and exploit satellite imagery technology. The identification of ways to use satellite image data to benefit mankind has only just begun. 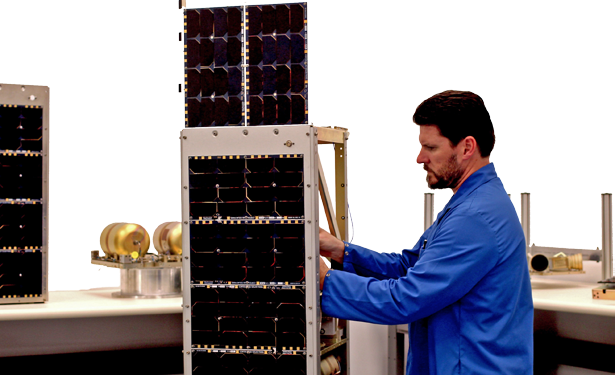 This article’s opening photo is of Black Sky’s Pathfinder satellite undergoing the final integration process by Senior Technician Jim Bowes. Rakesh Narasimhan serves as the Chief Operating Officer for Spaceflight Industries, responsible for all product and development operations for Spaceflight and Black Sky. In addition, he’s responsible for the evolution of the Black Sky platform and its roadmap to understand the world’s information in time and space. A tech veteran, Rakesh has more than 25 years of executive experience in high-growth technology industry with past experience including a range of senior executive roles at Oracle Corporation, Microsoft Corporation and Citrix Systems.